Will Google’s Mobile-Friendly Algorithm Change Impact AdWords? 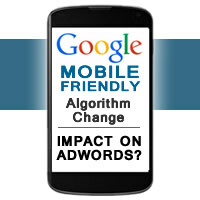 Now advertisers are reasonably questioning if this change will also impact mobile results on AdWords. 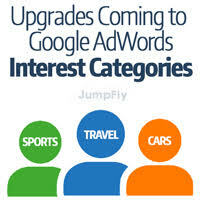 All indications are that this change will not impact AdWords at this time. Google has not made any mention about this change impacting AdWords, and historically they have pre-announced changes similar to this well in advance of it actually happening. It certainly stands to reason that this same algorithm change may eventually also apply to AdWords, but it doesn’t appear likely to have an impact with this upcoming algorithm change. Google’s shareholders would certainly be none-to-pleased if Google abruptly shut down a substantial number of their mobile advertisers without even giving any warning, plus they would be creating a huge headache for themselves by needing to deal with confused and upset advertisers; That just wouldn’t make any sense on multiple levels. So should advertisers be concerned about making their website mobile friendly according to Google, and what should they do right now? The first thing I personally suggest is for website owners to review Google Analytics results to determine exactly how much traffic is actually generated from Google mobile organic results. In many cases, I have seen that Google mobile organic traffic represents an incredibly small portion of overall total traffic. Based on this reality, I am not too concerned about Google’s upcoming algorithm change for those businesses. For others who are are receiving a decent amount of Google mobile organic traffic, this change is very important and should be addressed immediately if it has not been already. Google said the new algorithm will start rolling out on April 21st and will take a few days to a week to fully implement. They also stated that websites are either mobile-friendly or not, with no degrees of mobile-friendliness, at least not at this time. The fastest way to see if a web pages is mobile-friendly according to Google is to check it with Google’s mobile-friendly testing tool. 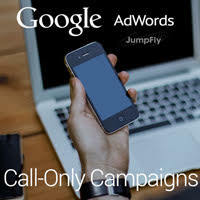 If you are an AdWords advertiser, the next thing to review is how much mobile PPC traffic you are generating. If AdWords mobile traffic is relevant and converts, then making sure that your website is mobile-friendly according to Google is likely a good idea to start taking into consideration. I would suspect that it is just a matter of time until mobile-friendliness does impact AdWords advertisers, and it’s always better to be prepared in advance rather than need to rush to get something done by a specific deadline… especially if is really important and related to technology. Over the years, I have seen over and over again that website development often takes twice as long and costs twice as much as planned. So even if your AdWords account is generating favorable results from mobile traffic, you likely have nothing to worry about right now. However, I strongly encourage advertisers in this position to consider looking into making their websites mobile-friendly according to Google. It’s always a good idea to cater to best-practices that Google suggests, so exploring mobile-friendly web design is likely a good idea for every business, but of course that could be said about many things that require time and money. Therefore my suggestion is to review Google Analytics, review Google AdWords, and then determine how high of a priority making your website mobile-friendly to Google should be on your to-do list.